I recently discovered these fabulous Measure-Up Bowls created by Heather Harvey, who created Measure Up Bowls out of her own necessity. A great new product, the Measure Up Bowl, which I am selling in my Open Sky Shop, has already been on Dr. OZ, Fox Business News and other round up product segments and gift guides. Heather is featured in the January issue of Health Magazine with her inspiring weight loss story. The product has also been featured in Redbook. 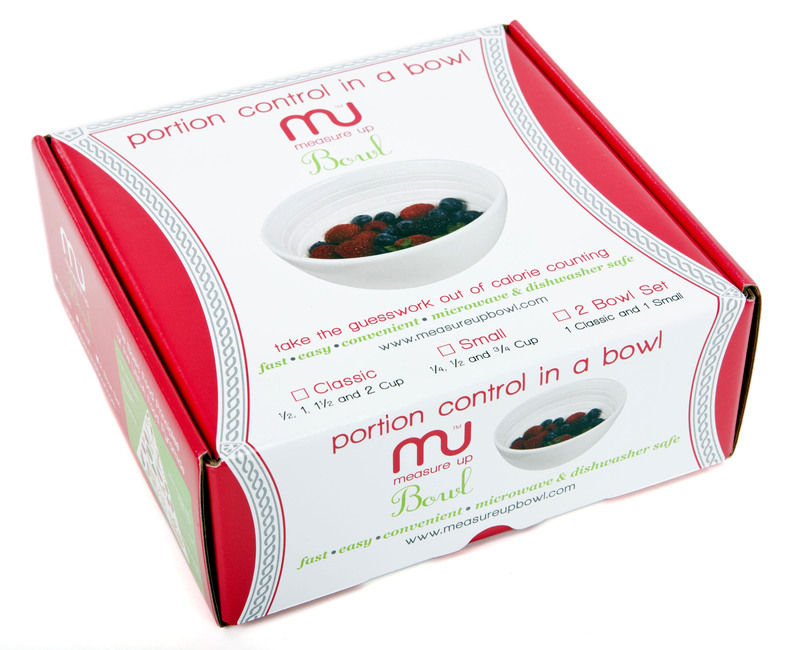 Many of my clients are using the Measure Up Bowls and seeing superb results with their portion control. Heather had always struggled with her weight, but really needed help when she was 233 pounds and 5 months pregnant. She enlisted the help of trainer who advised her to journal everything she put into her mouth. One morning while measuring out her portion of cereal Heather realized this would be so much easier if the pre- measured portions were on the interior of the bowl she was eating out of. She started developing them and now these porcelain microwave, dishwasher safe pre-measured portion bowls are for sale for your convenience. 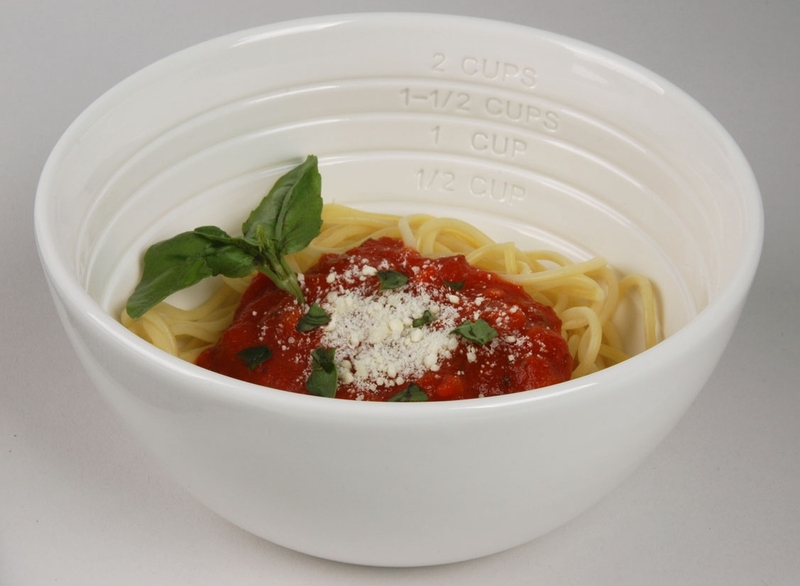 The Classic Bowl has pre measured portions of 1/2, 1, 1-1/2 and 2 cups on the interior, which is perfect for soup, rice, pasta and cereals. 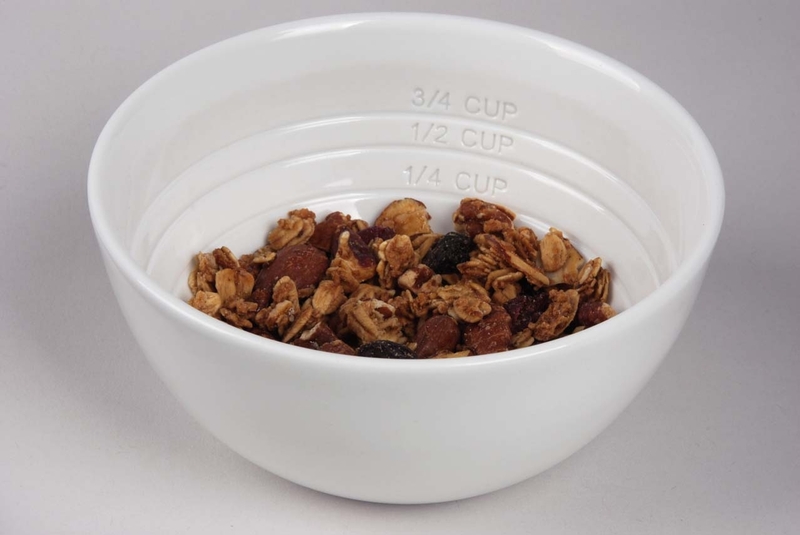 The Small Bowl has pre measured portions of 1/4, 1/2, and 3/4 cups on it’s interior and was designed for high fat calorie dense foods in mind such as ice-ream, nuts, chips, and granola If you’re going to indulge go ahead but don’t ruin your day! 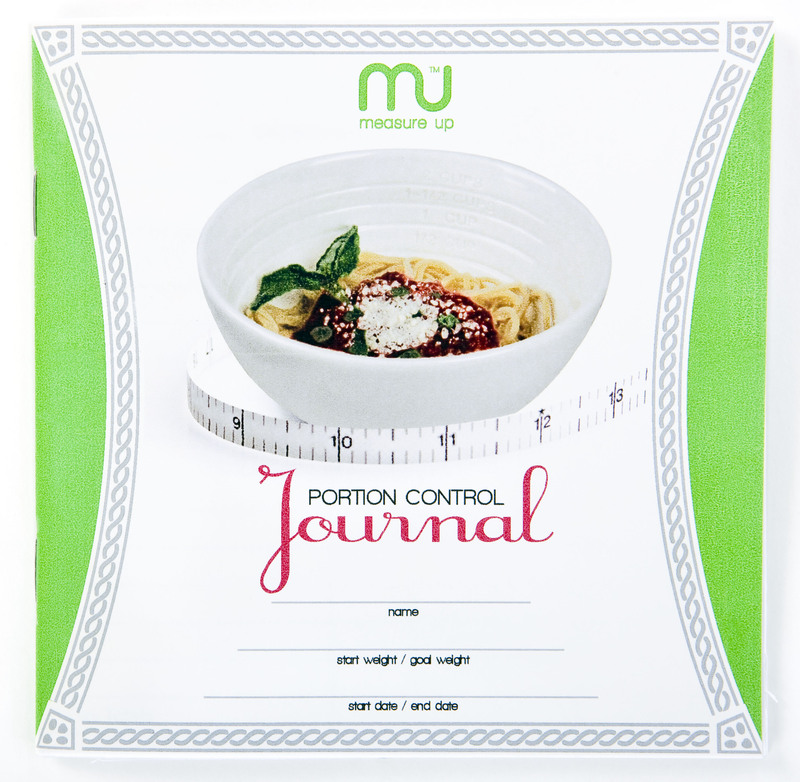 Portion control has never been so easy or elegant. Heather also developed her brand new Measure Up Journals. A three month Journal designed to be easy to use, and keep you on track for the new year and beyond!